Samsung App Challenge Round 2 judging will take place this week. Only winners from Round 1 were able to compete for Round 2, and the prizes are amazing. “In addition to the cash prize, the top 10 winners will be invited to Samsung Developers Conference (November 11-13, 2014)”. 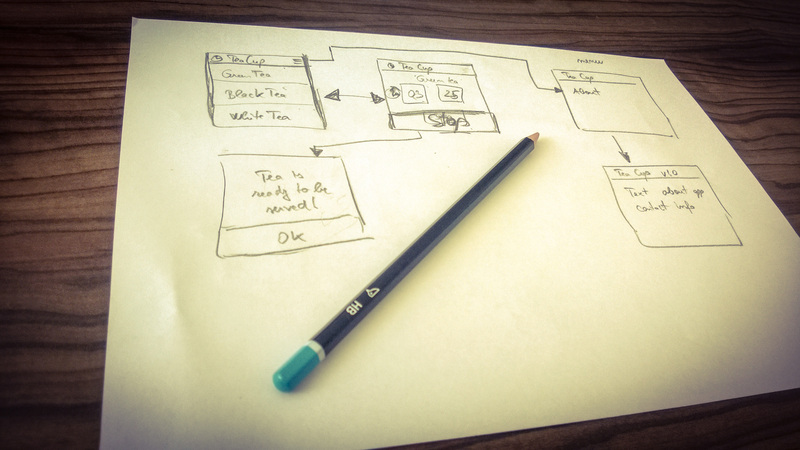 Therefore they will attend the award ceremony and show a demo of their app at the conference. Round 2 Challenge gearappfinal.challengepost.com. For Round 2 we all had some time to improve and update our apps and Monday at midnight, all the apps that made it to the store were downloaded and are going through judging. 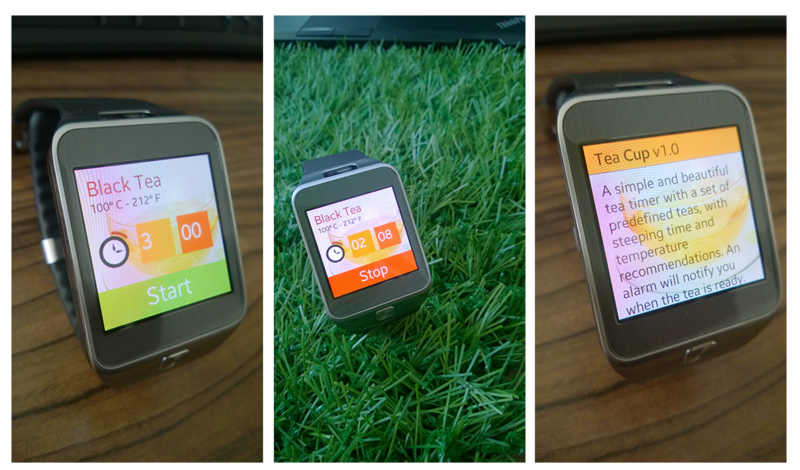 We’ve made a completely new Tea Cup app submission, changing the app type from standalone to integrated, because now it comes as a bundle, for both Gear Smartwatch and Samsung Android smartphones. 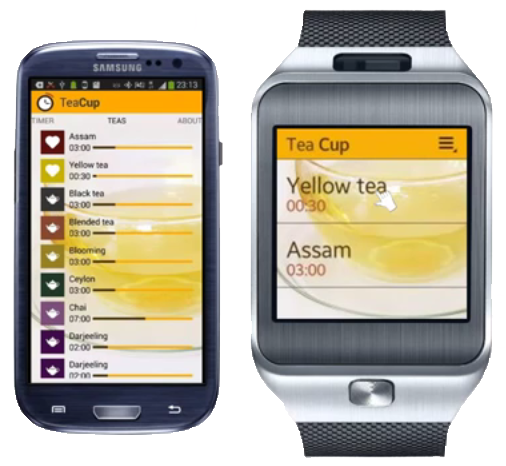 Being able to communicate, the smartwatch app fetches the list of favorite teas from the smartphone app via Bluetooth. We are eagerly waiting for the results, but it has been a great experience. 3. Round 2 – fetch favourite teas from the Android app. 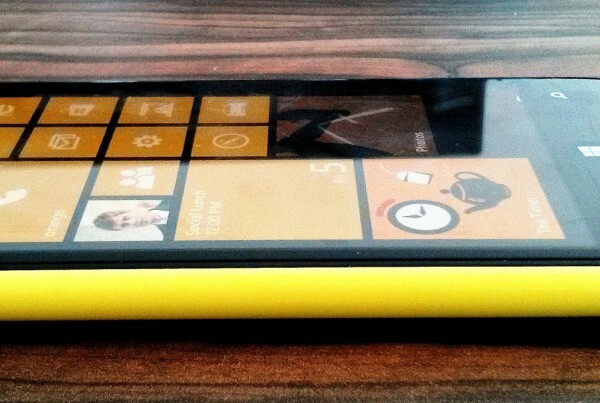 This is a screenshot from app testing on Samsung Remote Test Lab.